The best way to enjoy the gorgeous British Virgin Islands is from the deck of a private sailing boat. You can slowly glide from one island to the next and then sleep under a canopy of stars. There is no need to consider any schedule but your own and you can explore the islands at your own pace. We offer a luxurious sailing experience around the islands during which you will be pampered by fine dining, friendly guides and cosy accommodations. The beaches in the British Virgin Islands are some of the finest in the Caribbean and if you visit in the off season it is not uncommon to have a large remote beach all or mostly to yourself. You can even head out into some of the “Out Islands” which are the remote and undeveloped cays and small islands scattered around the edges of the BVI. You might spot a pristine wildlife sanctuary, a private island owned by someone rich and famous or a pod of orca whales leaping through the water. After a day of sailing and exploring you can sit back at one of the local beach bars, sip a rum cocktail and make friends with the warm and welcoming locals. Watch the sunset over the water and raise a glass to another perfect day in the British Virgin Islands. Our sailing trips are designed to offer you the best possible experience, so that you can relax and enjoy your stunning surroundings. To find out more, please contact us today. 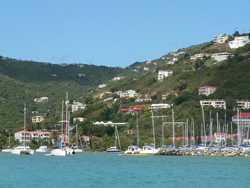 June to November is not the ideal time for sailing in the British Virgin Islands, as this is hurricane season. The best time of year is from December to February, which is when the weather will be ideal with sunny skies, warm breezes and little rain. However, this is also the most expensive and busiest time to visit the islands. If you plan to visit during this time, be sure to make reservations as far ahead as possible. March through August is also a good season to visit, as the weather is still warm but the prices are not as high. This is also a great time for diving, as the visibility below the water will be at its best. 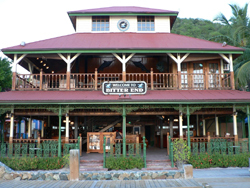 Start your trip in Road Town, the capital of the BVI, and explore the calm beaches and marinas and hike up Mount Sage. Then, head to Virgin Gorda Island which is home to the famous Baths – a natural series of caves and grottoes that snorkelers like to explore. Jost Van Dyke Island has a chilled out atmosphere and some quiet beaches where you can sit and contemplate life for a while. Sandy Spit at Green Cay is one of the nicest beaches, a great place for enjoy a picnic. You can also head to Anegada, which has a very different feel than the surrounding islands with flat and almost desert-like terrain. Large flocks of pink flamingos gather near the water and the beaches here are considered some of the most beautiful in the world. You can dine on fresh lobster, fritters and conch chowder while gazing out over the pink sand. Also, when you are exploring the islands on a sailing trip you will have the advantage of being able to visit locations that are only accessible by boat. 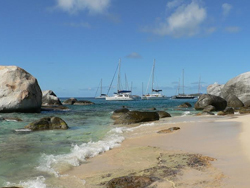 For example, you can visit Devil’s Bay on Virgin Gorda, which is a tiny hidden alcove that has fantastic snorkeling. If you are into scuba diving, this is a fantastic destination to explore what lies beneath the sea. Since the islands are quite affluent, there is very little of the subsistence fishing that has damaged marine life populations in other areas of the Caribbean – so the underwater life is diverse and abundant. Also, there are several great diving wrecks to be explored. No matter what you want to do on your adventure sailing the British Virgin Islands, we can arrange the trip of a lifetime for you. Our packages are all inclusive, so every detail is taken care of and any experience you want to have while sailing the British Virgin Islands can be easily arranged – just let us know! The British Virgin Islands do not have the same border control as the UK. The passport and visa requirements for entry are enforced at the harbours. Citizens of the EU, Canada, Singapore, New Zealand, South Korea, Japan, Switzerland and the USA will not require a visa to enter the British Virgin Islands for a tourist visa of up to one month. You will need to show proof of your ongoing journey, pre-arranged accommodation and sufficient means. There are not a lot of health and safety concerns in the British Virgin Islands, other than sun exposure, seasickness, and other typical tropical destination issues. If you are prone to seasickness while sailing, the best way to prevent this is with a medication such as Dramamine or Bonine. Some people also find that an acupressure wristband helps, which is available at drugstores. The sun in the British Virgin Islands can be very strong, so make sure that you wear sunglasses and a hat and use sunscreen. Before visiting the British Virgin Islands make sure that you are vaccinated against Hepatitis A and Typhoid. Depending on where you will be going in the British Virgin Islands and what you will be doing, you might want to also be vaccinated against Hepatitis B and Rabies. Since 1959 the official currency of the British Virgin Islands has been the United States Dollar. (Which is the same currency as the US Virgin Islands). You can exchange currency at the banks if you need to, but the rates can be expensive so it is advantageous to exchange money before you arrive if possible. There are also ATMs around the British Virgin Islands where you can get cash quickly and easily. Our Sailing the British Virgin Islands tour experiences will offer you an experience of a lifetime. To learn more about Sailing the British Virgin Islands and to book one of our fantastic tour experiences, please contact us today.